An original scale wall panel used in the production of Aliens, the second instalment in the popular Alien franchise directed by James Cameron. 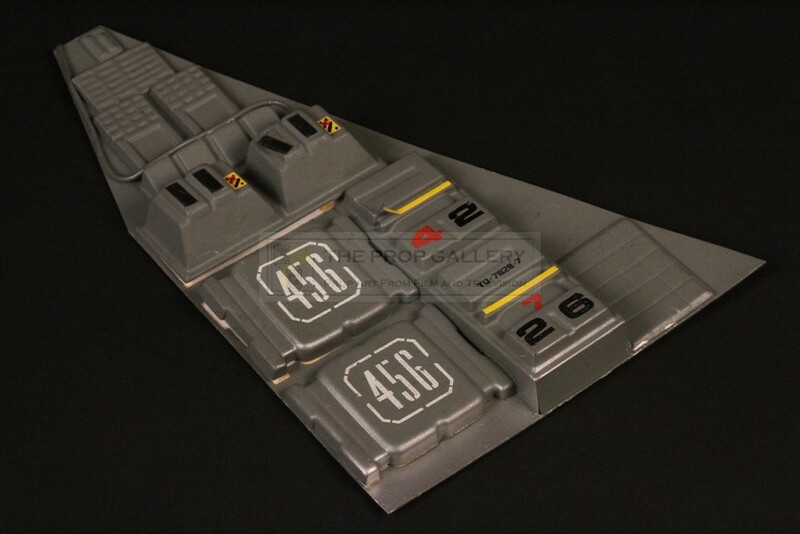 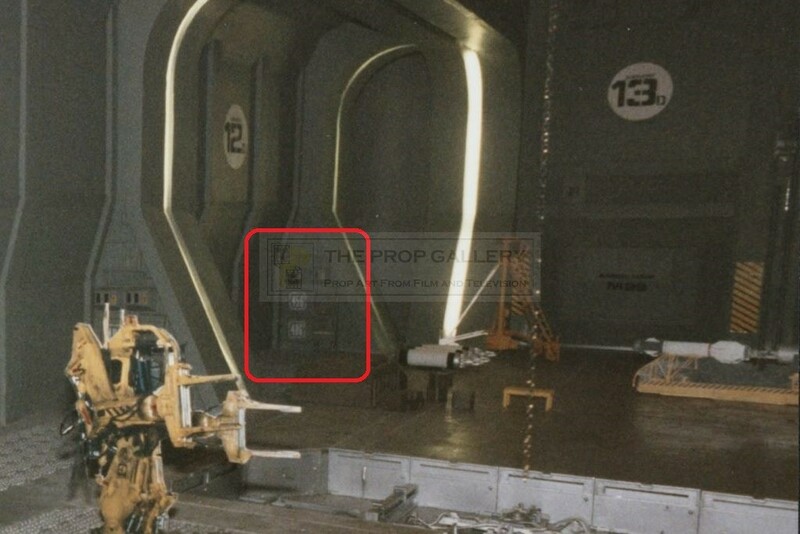 This wall panel section formed part of the Sulaco Dropship bay miniature set which was constructed 1:12 scale of the full size Pinewood Studios set. 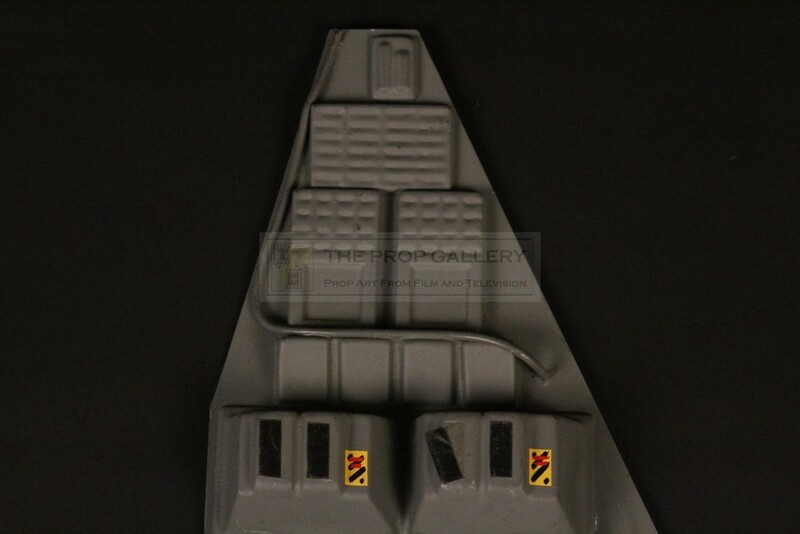 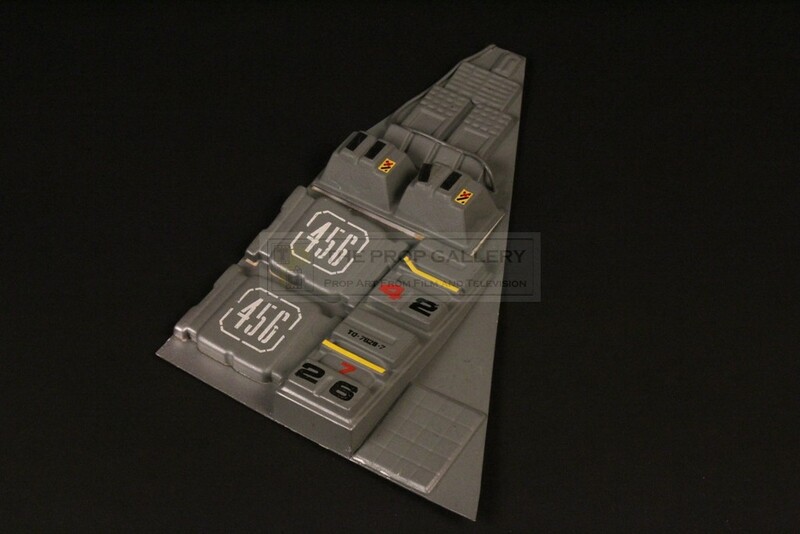 The panel is constructed from a number of vacuum formed sections which have been glued to a rear panel of plastic, the miniature is finished in grey spray paint and features hand applied sticker and number details. 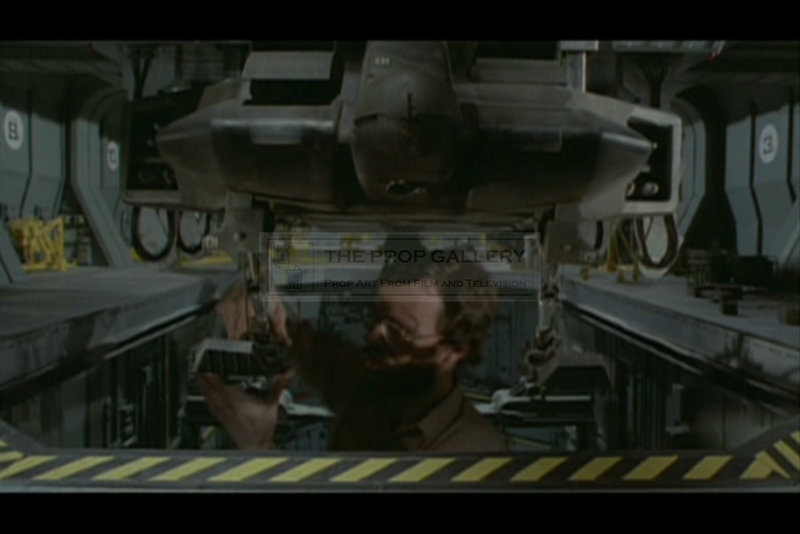 To the verso the miniature is unpainted with the remains if the glue which was used to attach is on set. 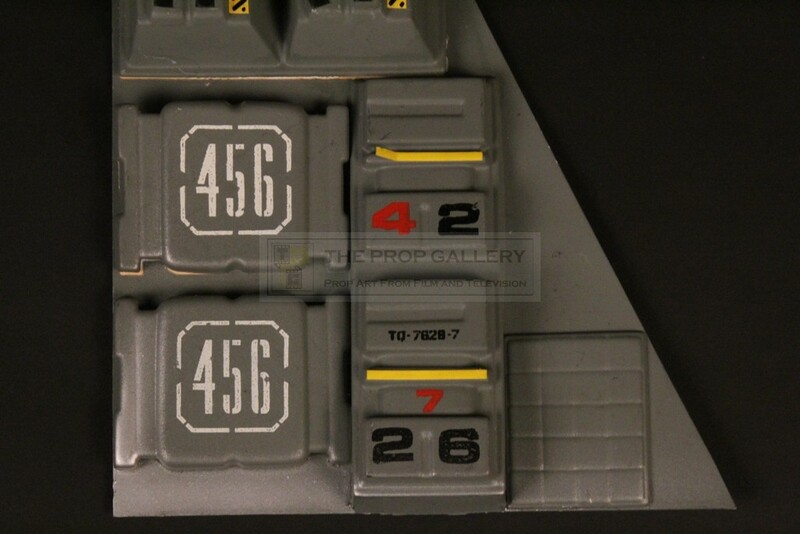 The final behind the scenes image displayed here shows an identical panel with the corresponding 456 number. 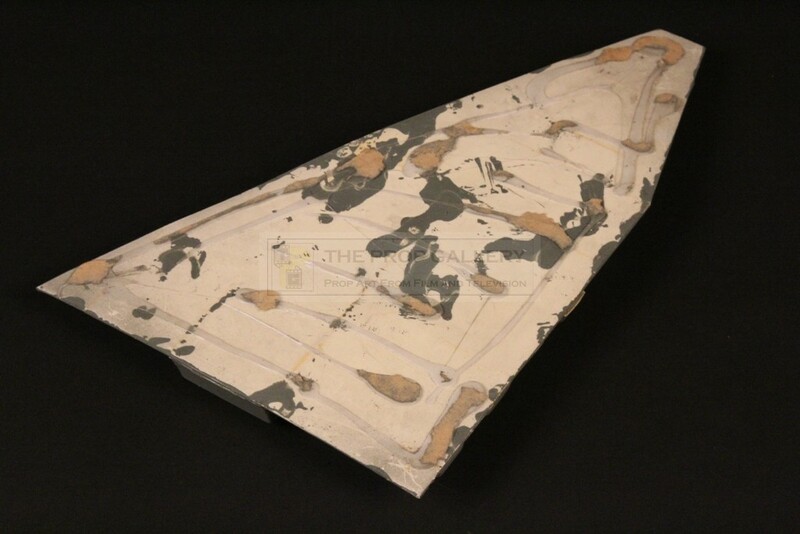 The miniature panel measures approximately 12.5" x 8.5" at its widest points and remains in excellent production used condition with only minor surface wear, overall very fine. 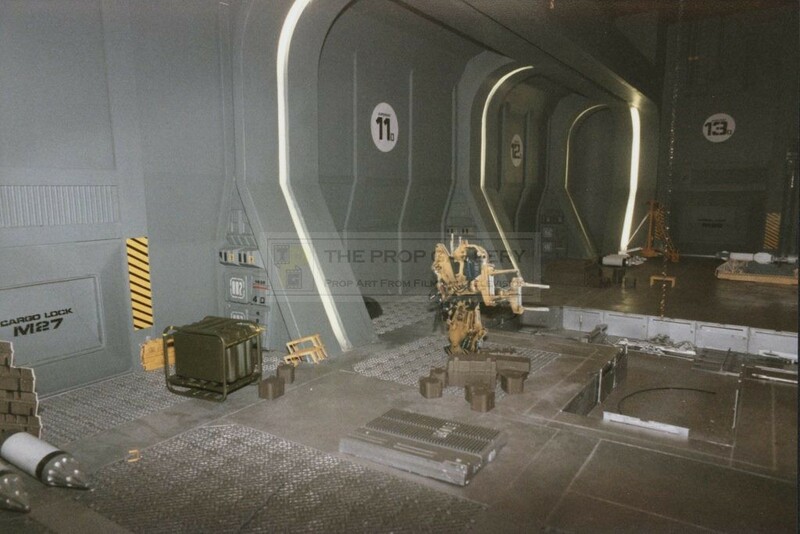 A highly displayable and detailed model miniature set piece from this Academy Award winning genre classic.